The Neon Neuron Blog: Busy! So, I've been super busy lately! A good kind of busy. and working on new models! looking at what other creators are doing with paper. see some exciting papertoys by other creators! Working on my own projects it very fulfilling, too! 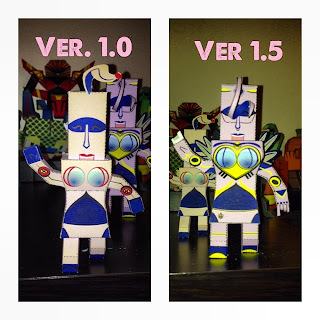 Here is look at how I've updated my papertoy Argon Neuron. I thought the first design was too plain. Since the template is very simple, I wanted the design to be more dynamic and textured. Here you can see some of the detail around Argon's body. The arms are designed to remove and replace, so you can change the position. I like the way the wings turned out, and the ability to curl her antenna or style it however you want. I changed some of her features here. I like the way she looks with her eyes closed, but, it was hard to see against the purple. I opted to make her eyes open. I also added more detail to her mouth to give it more depth. And, made her antenna thicker. I might end up adding different expressions, later on. This is an old project of mine. 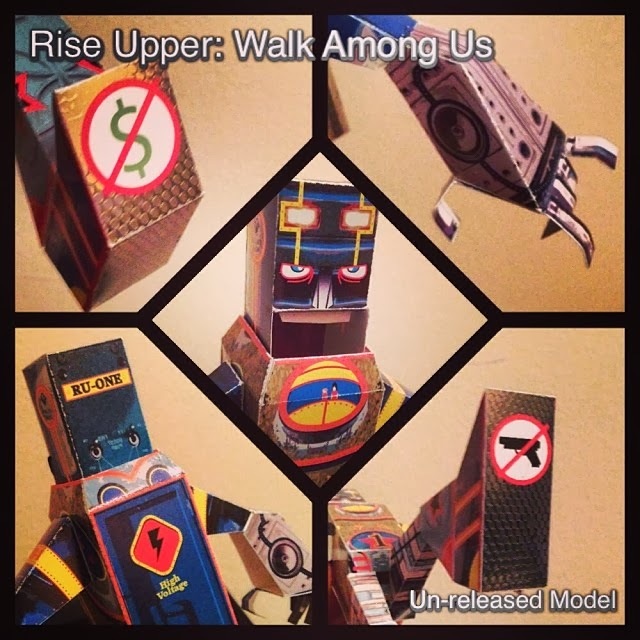 The Rise Upper: Walk Among Us model. 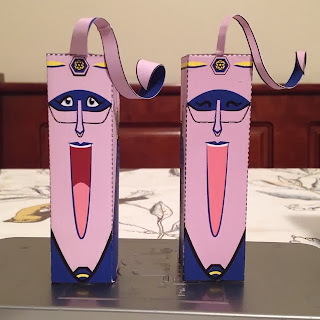 I created this about 2-3 years ago and at the time really liked the design. Quickly other things started happening and I began designing more toys. The demanded of my time was such that RU:WAU sat on the back burner for a while. 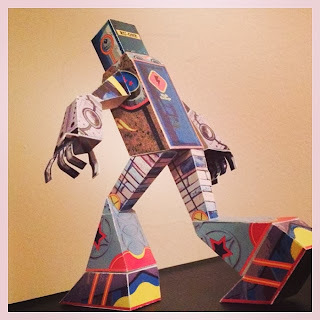 I found this template in a stack of papertoys I printed out to build, but, the stack got shuffled around and move and put away until this past week; when I rediscovered and decided to build it. I think the time away has rekindled my fondness of the model. Here you can see the details of the texture. 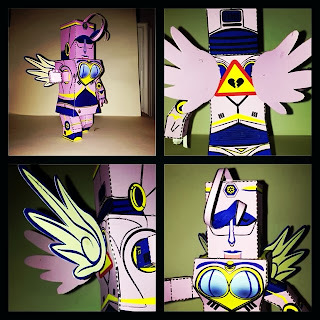 I was inspired by the texture work and papertoys of VinsArt. 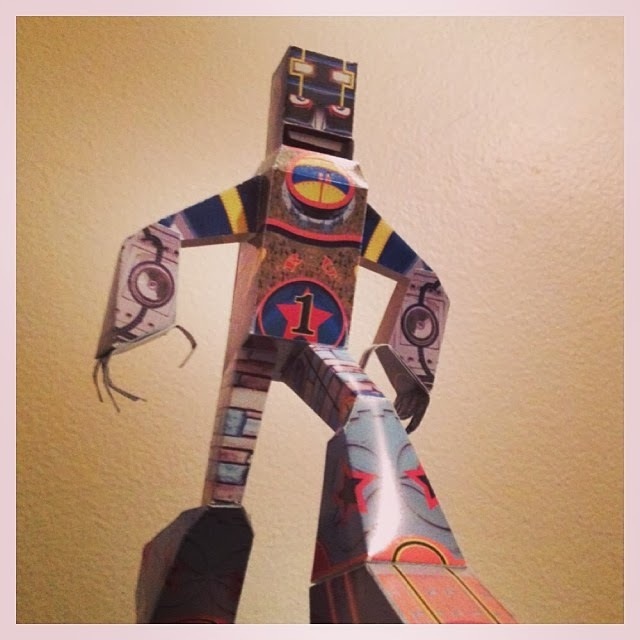 He is still a big inspiration in how far papertoys can go. The Walk Among Us model may be available later.